Author: Peace, David Set In . . . Description: It's August 1946—one year after the Japanese surrender—and women are turning up dead all over Tokyo. Detective Minami of the Tokyo Metropolitan Police—irreverent, angry, despairing—goes on the hunt for a killer known as the Japanese Bluebeard—a decorated former Imperial soldier who raped and murdered at least ten women amidst the turmoil of post-war Tokyo. As he undertakes the case, Minami is haunted by his own memories of atrocities that he can no longer explain or forgive. 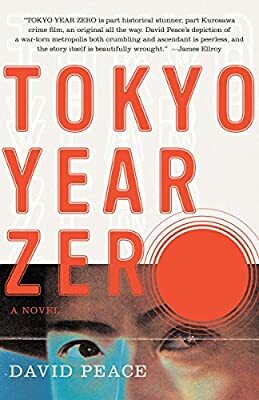 Unblinking in its vision of a nation in a chaotic, hellish period in its history, Tokyo Year Zero is a darkly lyrical and stunningly original crime novel.